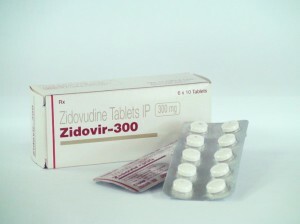 Zidovudine (AZT) – the first antiretroviral drug to hit the market in 1987. Already in the very early studies of zidovudine monotherapy, it was found that AZT significantly improves survival, at least in severe immunodeficiency. 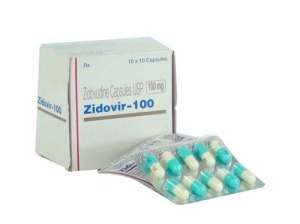 However, in the course of a very large early study (ACTG 016 and ACTG 019) failed to show a statistically significant effect of zidovudine on the survival of patients with asymptomatic HIV infection, although in both cases there was a significant reduction in the risk of progression of HIV infection. And it became clear that the effectiveness of zidovudine monotherapy, probably not very high. Shortly reputation suffered more zidovudine: Concorde study it was found that zidovudine prevents distal positive effect. In addition, in the first years of zidovudine was administered at very high doses (1500 mg / day), which causes a marked inhibition of blood. But now, when AZT is used in lower doses (500-600 mg / day), we should not underestimate its toxic effects on the bone marrow; therefore in patients receiving zidovudine should be mandatory to monitor the performance of the clinical analysis of blood. Prolonged zidovudine almost always lead to macrocytosis (increase in mean corpuscular volume, by the presence of which may to some extent be judged on adherence to treatment.